Regis pupils get the benefit of unique specialist Computing training from The Corsham School. 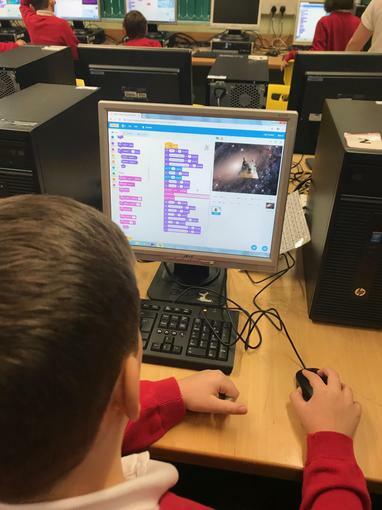 On Tuesday 26th February, Mr Fletcher and Mr Bodey-Jones, both specialist Computing teachers from The Corsham School, visited Corsham Regis to train the staff in maximising pupils' coding skills using the programme Scratch. The teaching staff absolutely loved the training and engaged fully with the professional development opportunity. 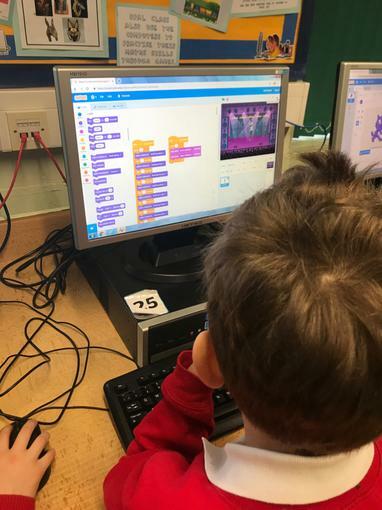 Eager to put into practise their new knowledge, those teachers fortunate to have access to the Computing Suite ditched their planning the next day and treated the pupils to some impromptu Scratch lessons. By the end of Wednesday pupils had created amazing animations, active sprites and clever tunes. At one point, the Computing Suite was a cacophony of sound with excited pupils having fun showing off their new talents. This bespoke training opportunity was only afforded to Regis staff because of their membership of The Corsham School Academy Group and demonstrates clearly how the young people in Corsham can only benefit from this partnership. Thank you to Paul and Ian for their work, and to Miss Denning and Mrs Randall for arranging the training.